This Intel Pentium Processor, version P54CS, operated at 133, 150, 166 and 200 MHz. 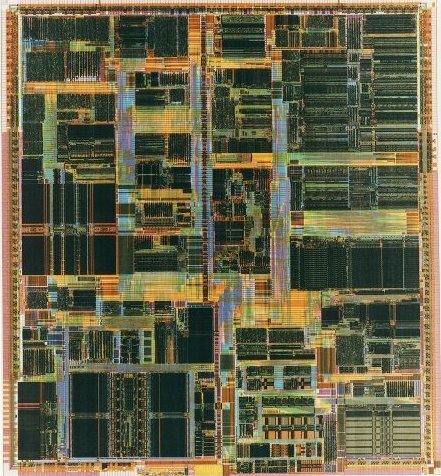 It contained 3.3 million transistors, measured 90 mm2 and was fabricated in a 0.35 µm BiCMOS process. 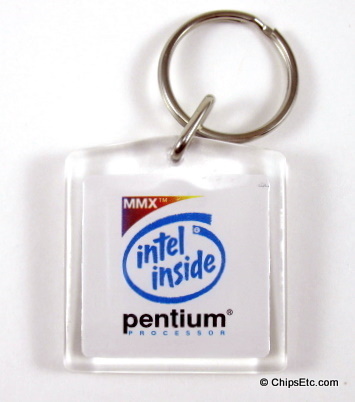 Clear Acrylic keychain has the Intel Inside / MMX Pentium graphics on card inside it. It is different than most keychains of the time, it does not have a chip inside it. 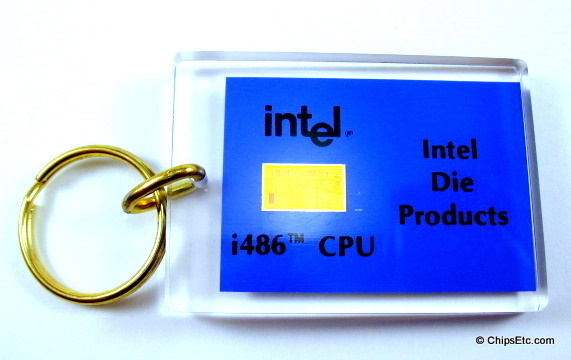 This Intel i486 CPU Keychain was a marketing giveaway during Comdex when Intel was promoting the i486 processor for embedded operations long after it's use as a competitive Desktop processor had ended. The i486's lengthy lifespan lasted from it's release in 1989 until it's end in 2007. 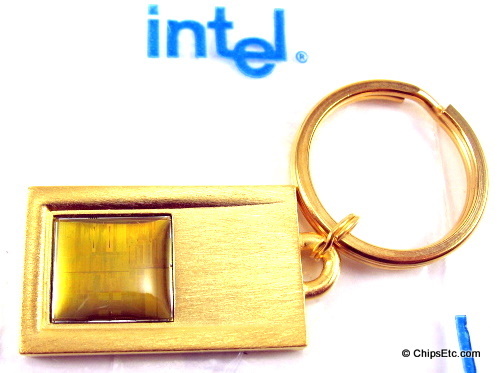 The die encapsulated in this keychain is an actual Intel 486DX2 chip. The back reads "Die Products- The Ultimate Package". 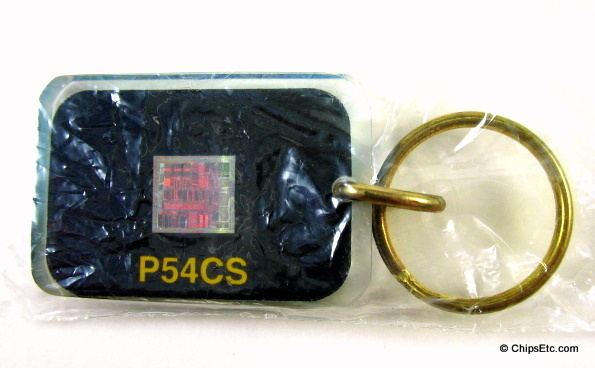 Clear Lucite keychain features a Pentium chip embedded on one side and the Pentium processor logo on the other. Card graphic behind the die simulates the substrate packaging that the die would be bonded to. New unused item in original packaging. 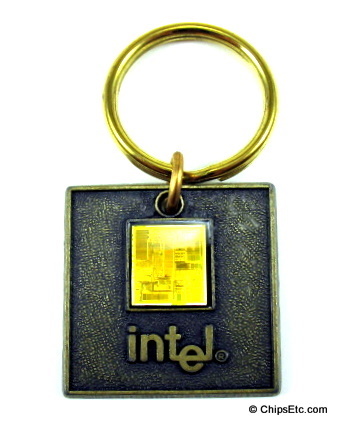 This keychain was a promotion for Intel's role as a corporate sponsor of the celebration of the Smithsonian's 150th anniversary, the keychains were given to tour guests for the "America's Smithsonian", a traveling exhibit of Smithsonian Icons on a two-year 12-city tour starting in Los Angeles in Feb. 1996. 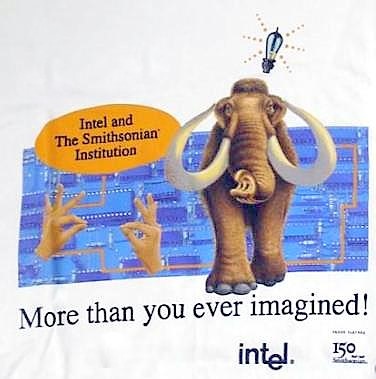 Intel was a major corporate sponsor of the exhibit and had launched an ad campaign to go with this tour. The campaign included television and print ads & was Intel first attempt at corporate image advertising, The Intel ads tried to paint a positive portrait of the Intel corporate character rather than sell the company's microprocessors or motherboards for personal computers. 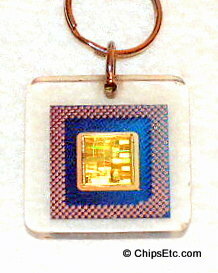 Solid bronze keychain with mounted Intel Pentium Computer Chip on face and covered in enamel. Measures 1 1/4" square. 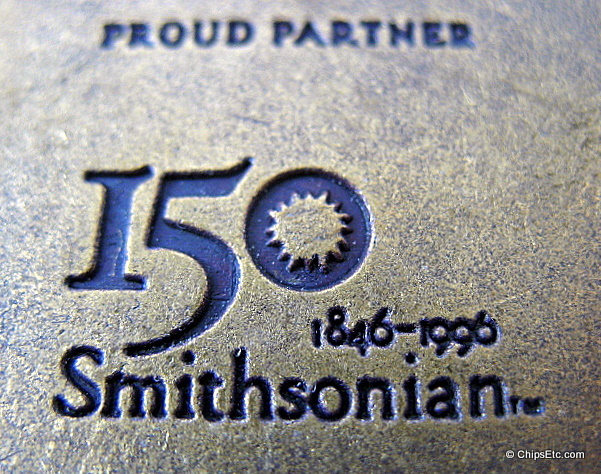 Back reads "PROUD PARTNER - 1996 Smithsonian". 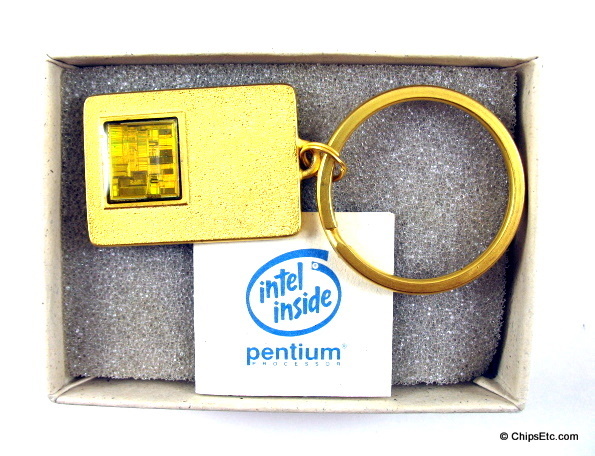 Gold plated keychain with a Pentium Processor Chip mounted on front and covered with enamel. Comes in original gift box with information card. This is the original Pentium II (233/266/300Mhz) that was codenamed for the Oregon river "Klamath", Intel officially released the Pentium II in May of 1997. But the most controversial debate was over Intel's apparent decision to lock out its rivals AMD and Cyrix from following in its footsteps, as AMD and Cyrix had done in creating the K5 and 6x86 chips to compete with the Pentium. The slot 1 interface designed for the Pentium II was patented by Intel, all but assuring that the other two companies would not use it for their new CPUs. This has led to a firestorm of criticism from PC users concerned about competition, upgrade-ability and other issues. With AMD and Cyrix deciding to stick with Socket 7, the market was basically "split". 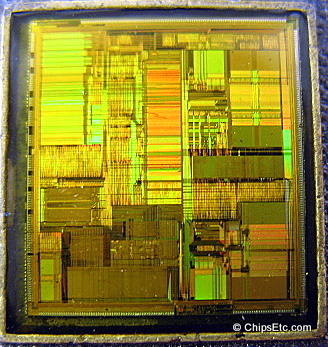 P6 Pentium Pro Processor Chip details: .35 micron circuit size, CMOS process technology, 203 (mm^2) Die Size, 7.5 million transistors, processor speeds ( (233/266/300Mhz). Sleek design Gold plated keychain. 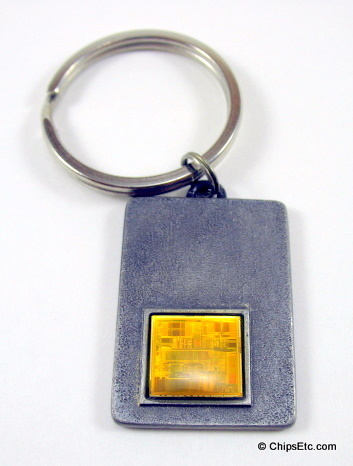 Pewter keychain with a Pentium CPU chip mounted on it.